Hello Linux Geeksters. As you may know, Variety is an app indicator that changes the desktop wallpaper, using automatically downloaded images from: Wallbase, Flickr, Wallpapers.net, Desktoppr, NASA Astronomy Picture of the Day. It works well on the most popular desktop environments: Unity, Gnome Shell, KDE, XFCE, LXDE, Enlightenment, Cinnamon, Mate and Pantheon. The latest Variety version, Variety 0.4.19,, which has been released a while ago, coming with support for Panoramio as an image source, got support for the Enlightenment DE (E17, E18, E19), fixed Flickr and Wallpapers.net wallpaper sources, received easier Facebook sharing, got support for Unicode, a new “Wallpaper Selector” menu entry and bug-fixes. For more information, see the release notes. In this article I will show you how to install Variety 0.4.19 on Ubuntu 14.04 Trusty Tahr, Ubuntu 13.10 Saucy Salamander, Ubuntu 12.04 Precise Pangolin, Linux 17 Qiana, Linux Mint 16 Petra, Linux Mint 13 Maya, Pinguy OS 14.04, Pinguy OS 12.04, LXLE 14.04, Elementary OS 0.3 Freya, Elementary OS 0.2 Luna, Peppermint Five, Linux Lite 2.0 and other Ubuntu derivative systems. 3. 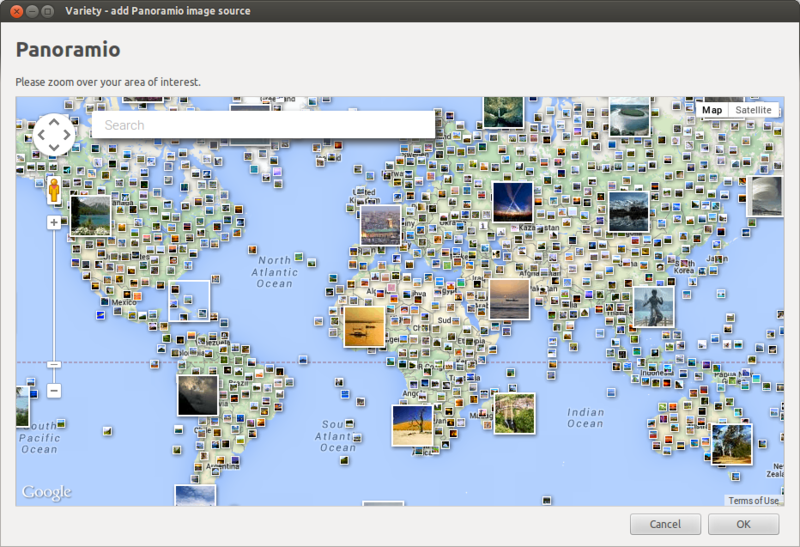 Choose the file “~/Pictures/variety-wallpaper/wallpaper-kde.jpg” as a wallpaper. 4. Leave it that way. Variety will regularly overwrite this file and KDE will automatically pick the change and update the desktop.